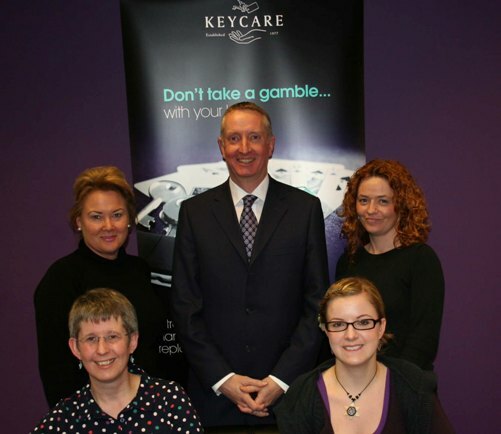 Shipley-based incident management specialist Keycare has boosted its team by 15 per cent after securing a raft of high profile new contract wins. The second generation family company – which recovers and replaces lost or stolen keys for customers of household names such as Tesco Bank, 1st Central and Suffolk Constabulary – now boasts a 31-strong team after taking on four new employees. Carolanne Hood and Jayne Hannam join as customer service advisors, Elaine Jackson is compliance officer and Leanne Dixon is an operations assistant. The appointments coincide with a recent string of new commissions which include a three-year contract providing a key replacement service for Tesco Bank’s motor insurance customers. Go Skippy and Chaucer Direct auto insurers have also signed up Keycare in a deal where customers renewing or taking out a motor insurance policy could benefit from Keycare’s key replacement service. The team and new client expansion comes in a formative year for the business which posted a £4.2m turnover in October 2012, secured more than 12 new contracts worth a combined projected income of over £2m across the next three years – and moved to new offices in Shipley to accommodate growth. Our new recruits perfectly complement the skills and expertise of our existing team – 90 per cent of whom have been with us for four years or more. A key feature in our staff retention is recognition of employees’ contribution – which is why we introduced our Values in Action reward scheme in 2004 which involves all our team members nominating each other for positive behaviours and/or outstanding work. We invest substantially in developing our employees and are proud of our loyal and talented team. Accelerating growth: David Ross (centre) with front row (l to r) Elaine Jackson and Leanne Dixon and back row (l to r) Jayne Hannam and Carolanne Hood.